Join us this Valentine’s Day for an intimate evening of dining beneath LA’s starry night sky, or enjoy a romantic meal below our glowing hand-blown glass chandelier. 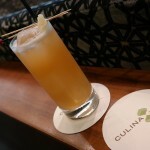 Culina Chef Mette will feature a four course prix fixe dinner menu, which will include selections such as scallop tartare from the Crudo Bar, housemade tortellini with roasted rabbit ragu and speck, bone-in short rib, and a chocolatissimo dessert presented tableside, among other offerings. This delectable menu will be offered on Friday, February 13th, and Saturday, February 14th from 6:00 to 11:00 pm. Our a la carte dinner menu will be available for your enjoyment, as well. To make your Valentine’s Day dinner reservations please call Culina at (310) 860-4000 or you may do so online.